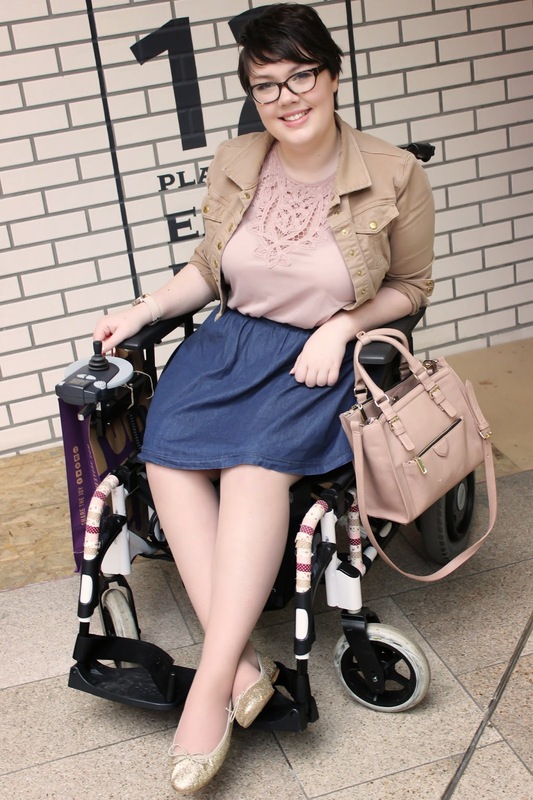 Not exactly the kind of outfit I usually but up on here & I know the skirt is too short for me really but I kind of like it + I think jackets like this (that end just under the bust) are amazing for wheelchair fashion as sat down they stop just above the waist. All the items in this outfit are actually kind of old (the jacket is more than 5 years old & was the wrong size when I got it) so I'm not putting any links in but I'm sure you can find similar. If you ever find ANYTHING the same length as that jacket let me know because I have searched & searched let me tell you! I love this outfit! You look awesome! You have totally awesome hair! Just found your blog and enjoying the past posts. You're make up and hair are just totally flawless. 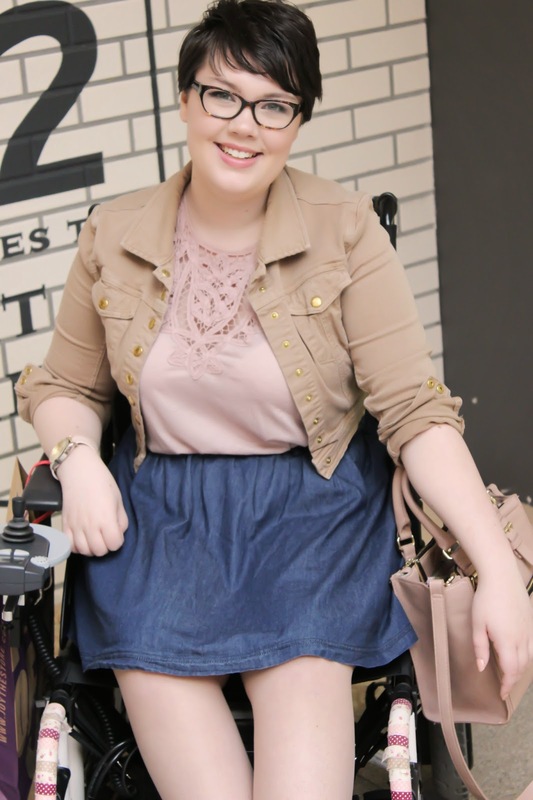 Thank you :) I am loving your ootd posts, your style is so cute & quirky.